For the Christian, whether Catholic or Protestant, the focus of Christian life and the objective of spiritual growth is, and always has been, a direct and personal relationship with Our Lord Jesus Christ. In the current day the question becomes, how does one seek and grow in that relationship in the midst of our secular culture? Our culture confuses the goal, the path, and works - often all too successfully - to convince us that such a relationship is not even possible. In this book I describe and give examples of how we can hear God and know it is really him. I also identify many of the "road signs" which mark the "narrow road" that Jesus calls us to walk (Matthew 7:13-14). 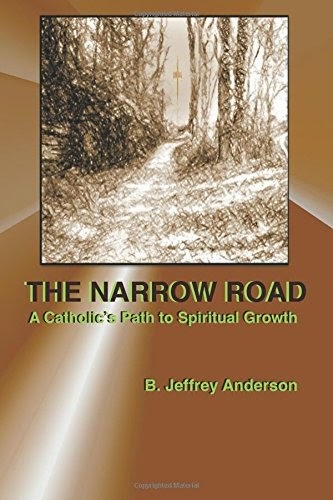 The intent in The Narrow Road is to give a clear and practical example of what it means to have a fruitful and growing relationship with Jesus. How does God, through the Holy Spirit, relate to us, and what attitudes will enable us to better relate to Him? The focus is on our role as servants, members of God's household, and the importance of listening-prayer, avoiding sin, and (especially for Catholics) the Sacraments. Special attention is also given to the role of community, situations that make spiritual growth difficult, and questions of how we receive and discern God's guidance, especially how the gifts of the Holy Spirit work in this area. The book is a collection of personal wisdom and practical insights from my experience which includes over 30 years of teaching adults and teenagers in my parish, ten years of speaking for Lenten missions, conferences and other gatherings, and 42 years of being active in the Catholic Charismatic Renewal, often as a teacher or leader. My wife and I have been married for over 43 years and have raised nine children. The book contains a NIHIL OBSTAT from Daniel Burke, Censor Librorum Deputatis, and an IMPRIMATUR from the Most Reverend Robert J. Baker S.T.D., Bishop of Birmingham, Alabama. Foreword by Jane Guenther, Chairman of the Catholic Charismatic Renewal National Service Committee and Director of the Catholic Renewal Center for the Archdiocese of St. Louis. "Jeff's book, The Narrow Road, encouraged me to get more comfortable with the Kingdom of God within me. It helped me to uncover and treasure the gifts God has given me. Jeff's simple instructions are leading me on a journey to get even closer to my best friend, Jesus." -- Alicia Ryan, CEO L-SINC Inc.
Dr. B. Jeffrey Anderson has served as teacher, organizer and speaker for church adult education, RCIA, Lenten missions and a variety of special programs in his parish and North Alabama for over thirty years. He and his wife, Beth, also a speaker and teacher, have been active in the Catholic Charismatic Renewal since 1972. They reside near Huntsville, Alabama. The Andersons have nine grown children and six grandchildren (still counting).